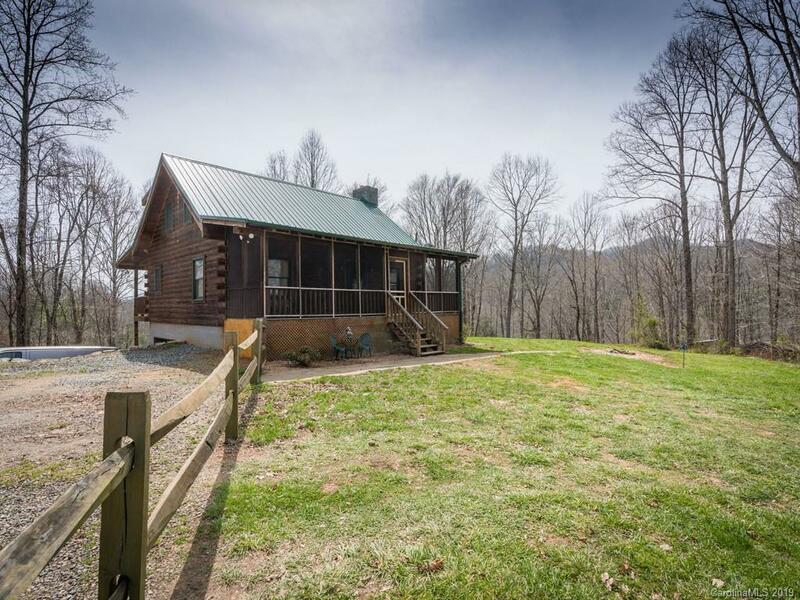 Private cabin with stone fireplace, open to kitchen and dining area, and vaulted ceilings. Main level living with bed, bath, and laundry. Upper level has bedroom, bath, and flexible loft area, large back deck and covered screen front porch. Full unfinished basement with 1 car garage. Situated on 13.5 acres with fire pit, chicken coop, and detached 2 car heated garage with office and half bath, electric, and air lines ready for your hobby or business. Conveniently located less than 4 miles from downtown Marshall.